Well… Where do I begin?! 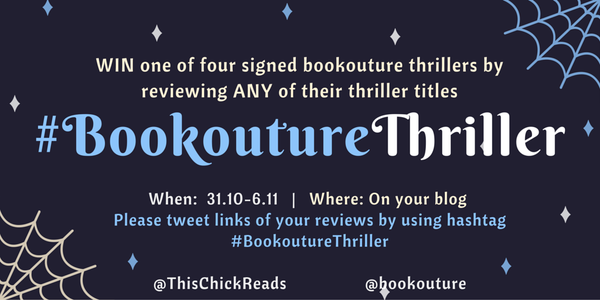 Time To Die is my fourth read for Bookouture Thriller Week, which ends today! I’ve already read and loved Caroline’s first DC Jennifer Knight book Don’t Turn Around, my review of which you can read here! I loved Don’t Turn Around and I couldn’t see how Caroline could write a better book in the series. How wrong was I!!!! Time To Die is absolutely fantastic. It is full of suspense, mystery and some very chilling scenes. I’m usually not creeped out when I read books, but to be honest for parts of this book I was glad the light was on and that my husband was next to me! 😂 Towards the end of the book in particular, when I started hearing random noises in our bedroom while I was finishing the book, my heart was pounding. I was genuinely freaked out. The Raven is one of the eeriest characters I’ve come upon in books for a long time. The prophecies he relays to the intended victims all have roots in their past, and when he tells them their future they are almost incredulous. Much to his annoyance. The chapters in the mind of The Raven are some of the spookiest, most atmospheric pieces of writing I’ve read in a long time. I feel I should add I don’t read horror/suspense books normally so I don’t have a lot to compare it to but I was 100% freaked out by this book. Caroline has a wonderful way of crafting her books to give the maximum impact when it comes to the final reveals. In my opinion, her twists are some of the best I’ve read in this type of writing genre. 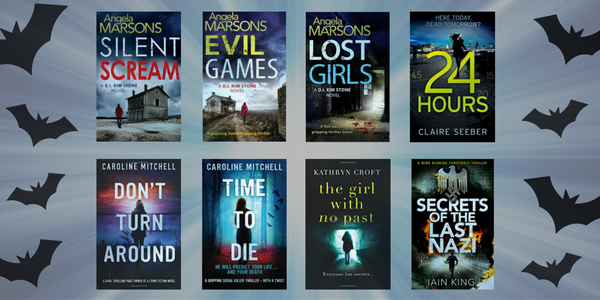 I would happily keep reading the DC Knight series for as long as Caroline writes them! I thoroughly enjoyed Time To Die. I read it at every spare opportunity as I was dying to see what was going to happen to the characters. I admit if I stopped on a chapter in The Ravens voice I was more than a little apprehensive to pick up reading as I was afraid of what he would have to say for himself. I remember watching Hitchcock’s The Birds when I was small (too small if you ask me!!!) and this book is its bookish equivalent in my opinion. The Birds in the movie are the villains, and I think birds are ominous at the best of times for me, so the Ravens really made me feel uneasy. I gave Time To Die a well deserved 5 ⭐️⭐️⭐️⭐️⭐️ on Goodreads!